Sorry, that the blog has been updated infrequently. I have not been lazy, I just have done something else. 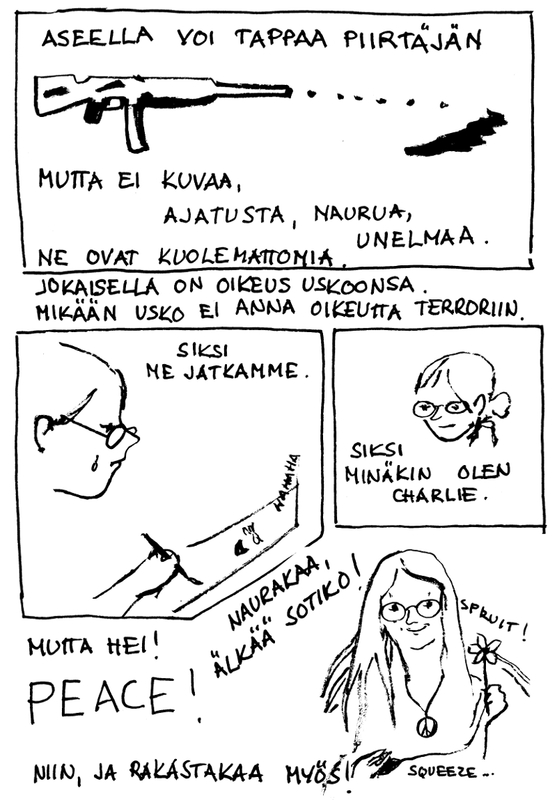 I even have drawn, for Tampere kuplii -comix festival. 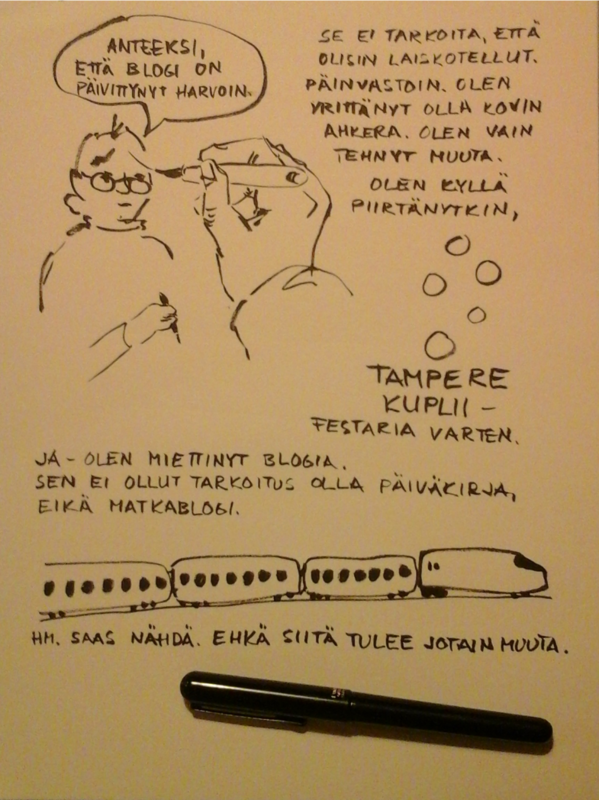 And I have been thinking of the blog, trying to do some strategy for it. The blog was not aimed to be a diary, neither a travel blog.Maybe it will be something else. But – for the strtegy, forget it. Let’s see. 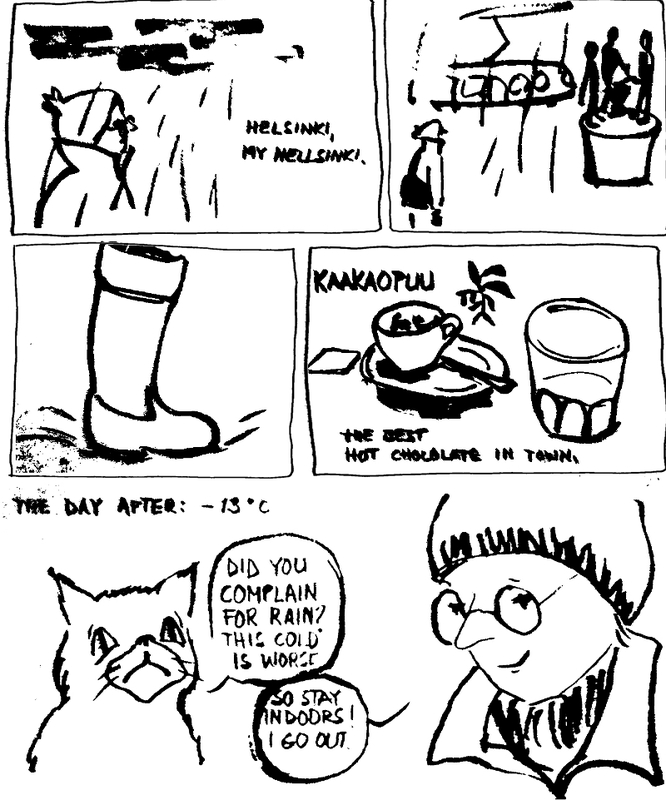 Most probably there will be more randon strips. With a gun the drawer may be killed, but not drawing, thinking, laughing, dreaming. Every person has right to faith. No faith justifies terror. That’s why we continue. That’s why I am Charlie, too. But, peace! Make laugh, not war! And make love, too.